About two weeks ago I received a PR Sample of the Magnitone Barefaced 2 to try out. I’ve used a cleansing brush in the past, many years ago, and I wondered how this would compare. I’ve only been using the Magnitone Barefaced 2 for a week, so this is very much a first impressions post. So what does the product claim to offer? The brush uses 3D Vibra-Sonic Technology, but what is that? It’s a combination of sonic oscillations & pulsed vibrations to deep-cleanse, massage and tone your skin. It is said to be 6 times more effective than manual cleansing at removing impurities and make-up from your pores. It also gently exfoliates your skin. The brush is 100% waterproof, so you can use it in the shower, bath or just at the sink. I like to use mine over the sink. The brush is set to a 60 second timer, so no excuses for not being able to incorporate it into your daily routine. You are to clean your face and neck in three section and every 20 seconds the brush will buzz, this is to indicate you are to move to the next part of your face. The three sections are split as; cheeks and chin, forehead and nose and finally your neck. I started by cleaning my forehead, but found I ended up with run off in my eyes. I now start on my cheeks and chin first, then move to my forehead and nose, and finally my neck. There are three different settings on the brush; a sensitive cleanse, a deep cleanse and a PulseLift Toning setting which you use with your skincare products after cleansing. Apparently you can use any cleanser with the brush, but it is advised not to use anything abrasive. I’ve used it with Dermalogica Special Cleansing Gel and Oskia Renaissance Gel. Both of which I’ve found to work well. If you’re a fan of a foaming wash, the brush will definitely work well with it. My concern initially was that I’d only be able to use it with a foaming product, but was pleased that this wasn’t the case. Foaming products can be very stripping, so I tend to avoid them. The only one I will use is the Dermalogica I’ve mentioned, but it’s a very slight foam, and doesn’t leave me uber dry. I’ve been using the Magnitone Barefaced 2 for a week. I use it at night and have used it during the week when I don’t wear makeup, and at the weekend when I do. I first apply my cleanser to my skin, you can apply it to the brush if you prefer. I then run the brush head under warm running water and select one of the first two settings. It is advised to gently glide the brush over the skin, in circular motions, without applying too much pressure. My assumption on this is that additional pressure would stop the oscillations and potentially damage your skin by being too heavy-handed. On the days I’ve worn makeup, I’ve done a first cleanse manually, with just a cleanser and face cloth, then my second cleanse is the Barefaced 2. I’ve had a couple of small breakouts, which I had read can be a result of the deeper cleanse you’re getting with the brush; the same warning comes with any facial, so I was prepared for it. My oily skin has seemed a little less shiny by mid-morning and my skin has a lovely softness to it, which I think is a result of the gentle daily exfoliation. This is an extra step in my routine, as I still remove any excess cleanser with a face cloth, but 60 seconds isn’t much. 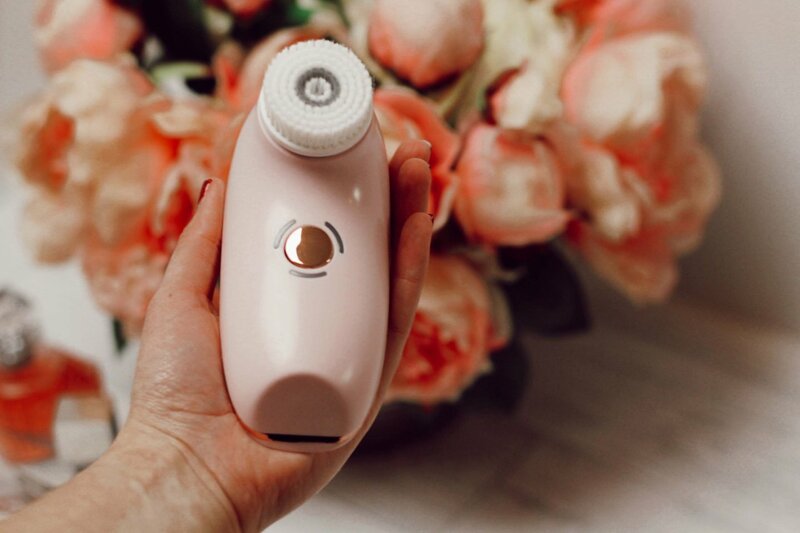 I’ve used the third setting on the brush only a couple of times, the “PulseLift Toning” mode which is said to be, “an energising skin-workout to boost micro-circulation and supercharge your favourite skincare potion”. You’re recommended to only use this setting every other day, so I don’t think I’ve used this enough to give any feedback, but I’ll definitely keep it up. I really like the caddy that the brush comes with; it means the brush can drip dry standing up. 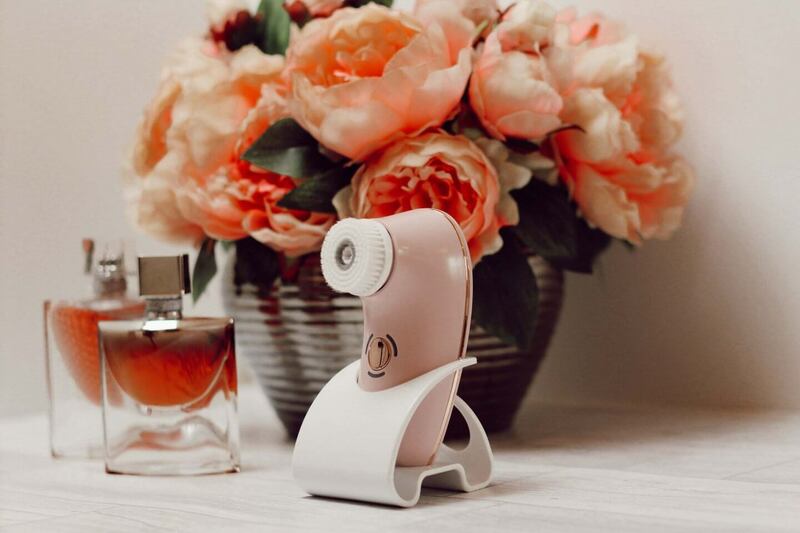 The brush is available in two colours, pink and rose gold or white and rose gold. The RRP is £90 and you buy the product at www.magnitone.co.uk. Have any of you tried the Barefaced 2 or any of the other Magnitone cleansing brushes? *I was sent this product in exchange for review, therefore under new guidelines this is an advert. Next Post Do You Need The GHD Glide?